My top 10 Wedding Planning Tips for New Brides! Congratulations on your engagement!! Now it’s time to begin planning! Don’t know where to start? No worries. Feeling a tad overwhelmed? That’s totally normal! After photographing and working weddings of all sizes and styles around the globe over the last ten years, I’ve become very familiar with the industry and what good is knowledge if you can’t share it?! To help save you some time, I’ve put together my Top 10 Wedding Tips just for you! Though this article doesn’t cover EVERY aspect of the planning process, it’s a great place to start. Establishing a budget is the absolute first thing a bride needs to do- especially if someone will be helping you finance the celebration. Your budget will pretty much determine what you can and can’t do: what vendors you can afford, how many people you should invite, the list goes on and on. The average cost of a wedding these days is around $29,000. Be flexible with your budget, but have priorities. What means the most to you? What are your top 3 most important things for the big day? Is it food? Photography? Having an awesome band? You decide where you’re ok spending a little bit more and build your budget from there. Your fiancé: You’d be surprised how much men care and what they care about. Make sure to involve your man and what he wants. After all, this day is about both of you and your stories coming together. My husband had two requests for our wedding: that I wear my hair down- I never wear my hair up, and he didn’t want me looking like a stranger on our wedding day (that’s a whole different post!) – And that the ceremony started on time. Your mother: Chances are, your mom will be heavily involved in the planning already (that’s a whole other article in itself, but we won’t get into that now). You’ll have an idea of what she wants from the get go, but taking a moment to ask her what her top 3 is won’t hurt. Whether you agree or not, it opens communication on the topic of the budget if she will be helping finance. Mother of the groom: Ask her if she has any requests for the big day. Does she want to be escorted by her son, or does she want you to mention her late father in the program? I’m not saying you should give up what you want if they have crazy requests, but at least, they know you’re considering the things they value as well. And why not include the groom’s grandfather in the program? That’s no sweat off your back, and you just earned points with your future mother-in-law, and perhaps the entire family. 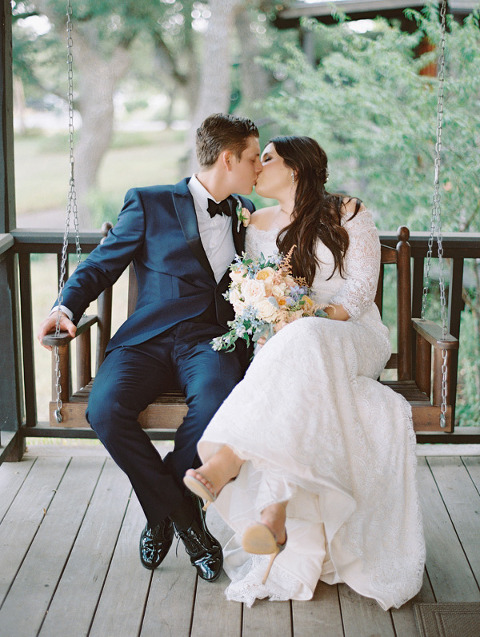 See all of those beautiful weddings featured in The Knot and Style Me Pretty? There is a reason these weddings were featured- they took a chance and created something DIFFERENT and unique, something that represents them! Nowadays everyone is trying to recreate something they saw on Pinterest or in a wedding magazine. And while these are great planning tools and can give you some wonderful ideas, it’s important not to focus too much on recreating someone else’s wedding. There is no way that you can recreate someone’s wedding, and it be the exact same because it’s not YOU. Dare to be different! For example, do you and your fiancé like to travel? 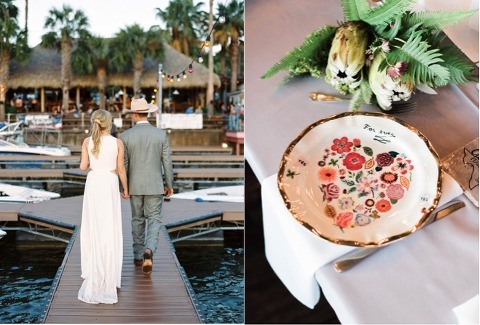 Try integrating a worldly theme into your wedding to showcase it! While DIY weddings are all the rage right now and will ultimately save you money, don’t lose sight of the fact that your wedding day is supposed to be a happy occasion, not a stressful one. You need to be relaxed and ready to enjoy the celebration with your new husband- not frantically running around because a vendor is late or a table is one chair short. Hiring a coordinator will enable you to do just that! Now, I’m not talking about your mom’s friend Susie who helped plan her daughters wedding. I’m talking about someone who specializes in coordinating weddings. Your coordinator should be someone you vibe with who will communicate with your vendors, help create a timeline, and ensure that everything runs smooth. 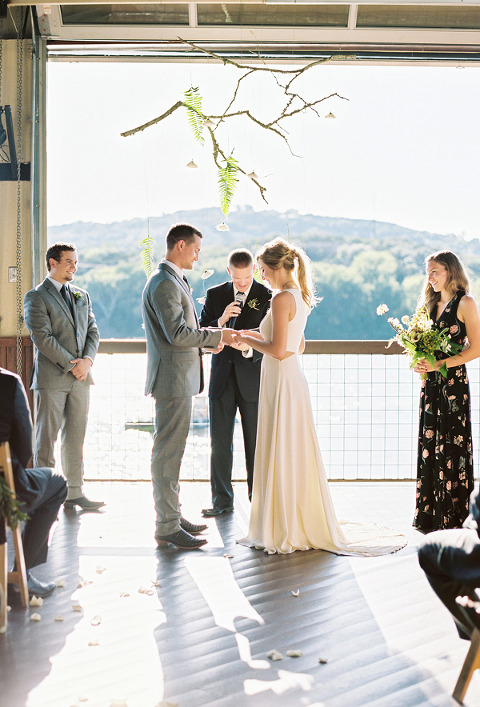 Many venues have day-of coordinators on staff and include it in their rental package. If that is the case for your wedding, make sure to ask what exactly they will do for you so that everyone is on the same page. If you need more in-depth assistance with planning and staying organized, you can find wedding planners on any of the popular wedding websites like The Knot or Wedding Wire. You can’t do it all by yourself! The most common mistake brides make is not asking for help. Don’t be afraid to give up some of the control to people you trust. Chances are your maid of honor, bridesmaids, mother-in- law, and other family members would love to help. When these people offer to help, let them! Filling goody bags, curling ribbons, going to dress fittings, and even picking up decor pieces (most companies deliver for an additional fee) are all great tasks to delegate and will keep you from stressing. Though it’s tempting to hire your friend Becky to do your flowers or your sister-in-law to bake your cake, you could be taking on more risks than it’s worth! Here’s a simple rule of thumb: if it’s not their career, don’t hire them as a major vendor. Trust me, you don’t want the added stress. Hiring vendors that have experience in the industry is priceless, and you’ll be glad you did! Get organized and don’t wait until the last minute! Creating a checklist will help keep you on track and stay realistic about your timeline and budget. There are multiple tools online that can help with this such as The Knot, Wedding Wire, and Style Me Pretty. Your checklist may vary from the default tasks these tools have depended on the style and how big or elaborate your wedding will be, but you can always remove and add tasks as needed. Your wedding planner will also be able to help with this. you have in mind. If there’s something specific I want to know before hand! For example, you pinning a boutineer on your father, you and your new husband with a ‘thank you’ sign, a shot of your grandparents dancing, etc. The list goes on and on- but you get the idea. If you see a picture on Pinterest of a bride and groom posed in a way that you like, make sure to tell your photographer. If you’re planning a flash mob during your first dance, make sure to include that in your shot list- that will be a memory you definitely want to keep! Don’t get caught up trying to execute instead of enjoying your special day! Everything will come together. Yes, it will be hectic, and some things will go wrong, but have faith that it will work out because it always does! Trust me! Some of my favorite and most memorable weddings were the ones where it rained, the cake fell, or the father of the bride forgot his pants! Yet every single bride leaves saying it was the best day of their lives. These are all stories you will have to look back on and laugh! So just roll with it. Consider the environment when planning your wedding! I recently came across a couple that had a ‘green’ wedding and I fell in love with the idea. Without sounding too new age-y, there are so many ways to reduce your impact on the environment without sacrificing style and elegance. Choose a venue in a central location so guests don’t have to drive far. 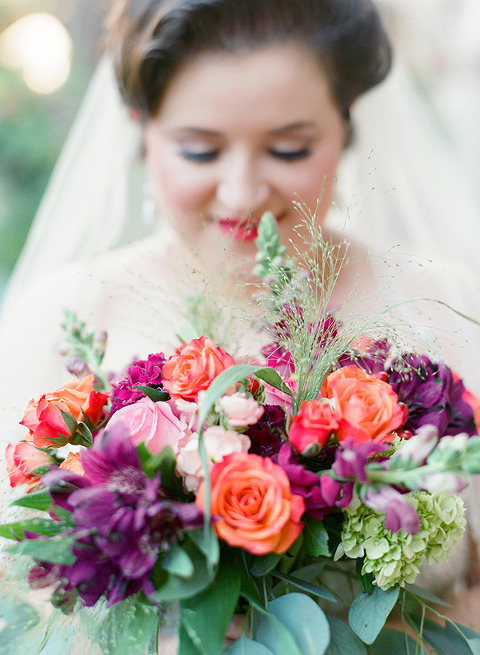 Use local, seasonal flowers instead of exotic flowers that have to be shipped in. Limit the amount of paper used for save the dates, invitations, RSVPs, seating cards, programs, etc. Pay it forward! Give away anything you create or buy for your wedding so that they have a second chance to make someone else’s dream day come true. I know this list only begins to scratch the surface, but I hope I was able to help get you started. Best of luck girls and remember to enjoy every minute!